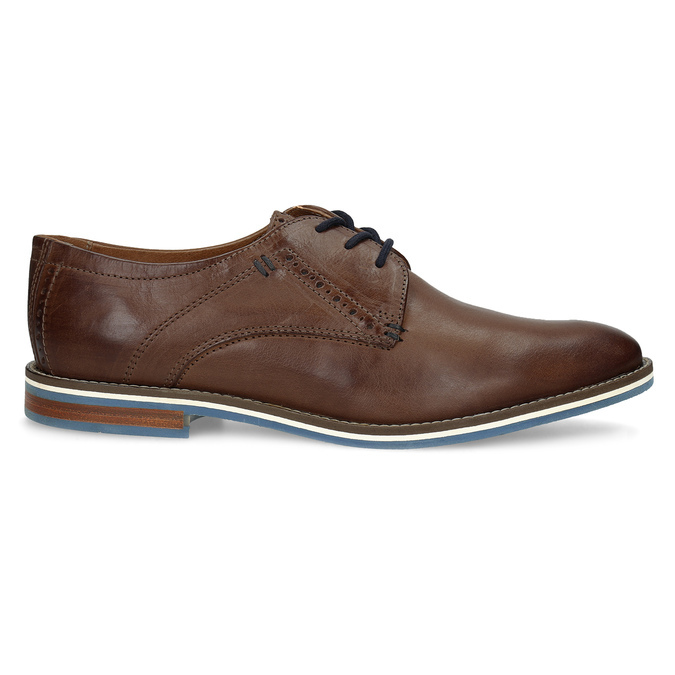 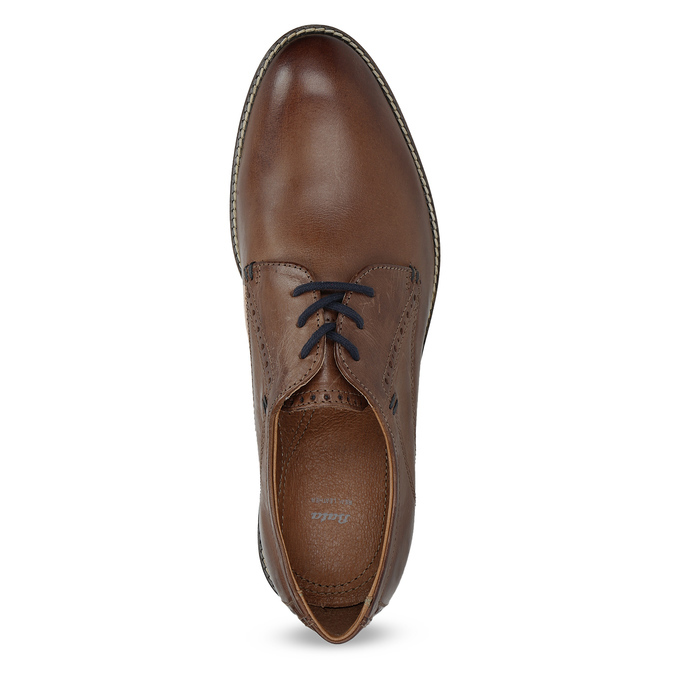 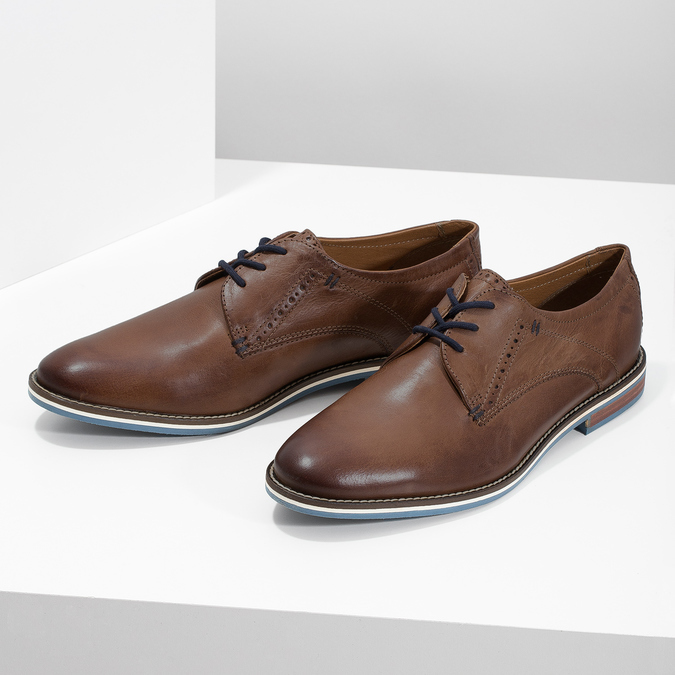 These men’s Derby shoes have a brown leather upper featuring stitching and a hint of Brogue. 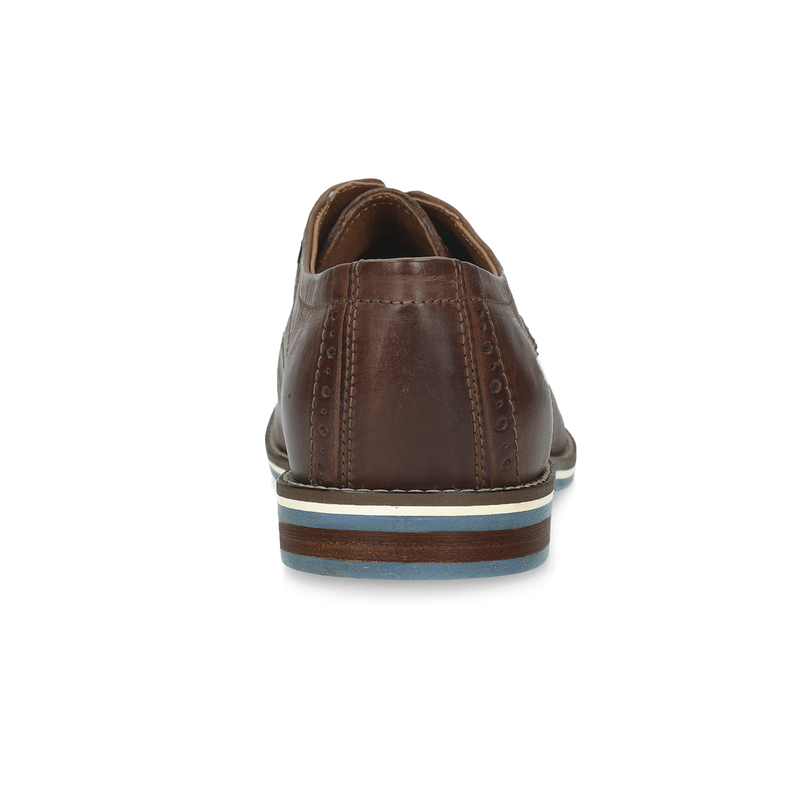 The striped sole emphasises the casual look of these shoes and has distinctive stitching around the edge. 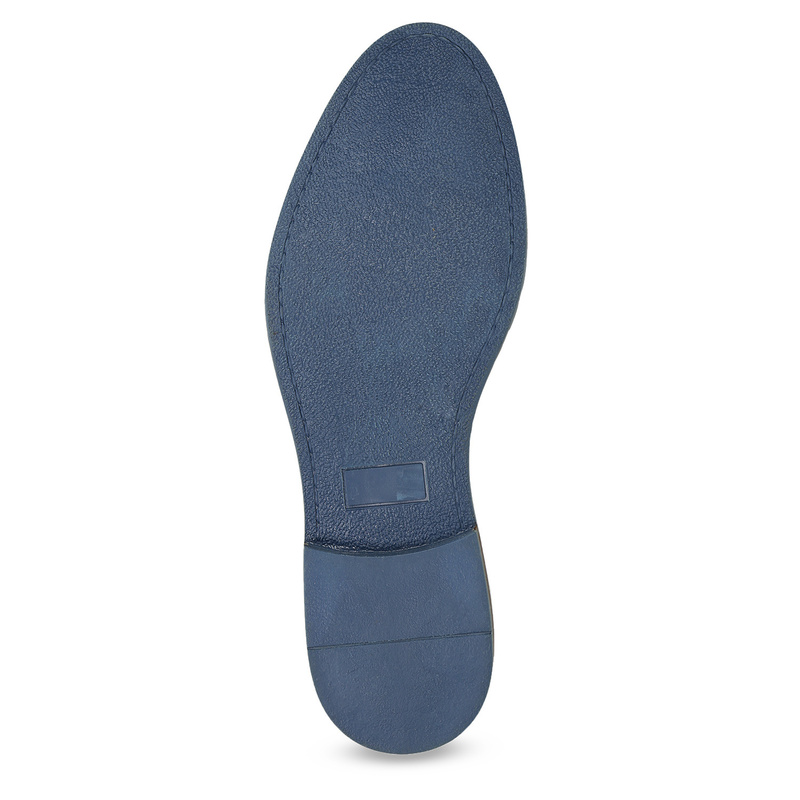 It is stitched to the upper, making it more flexible. 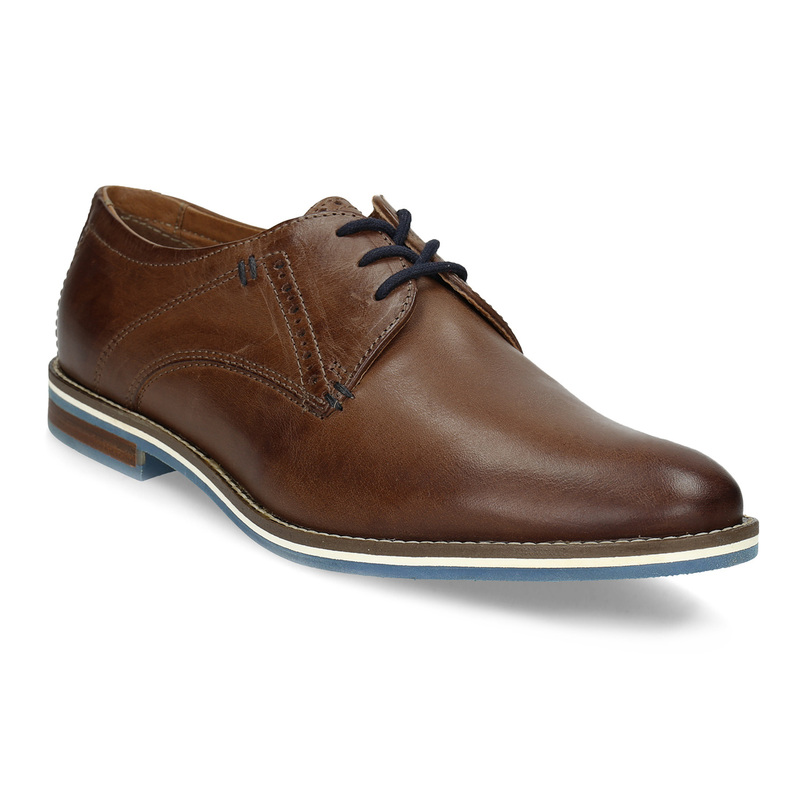 These shoes have a leather lining and insole.